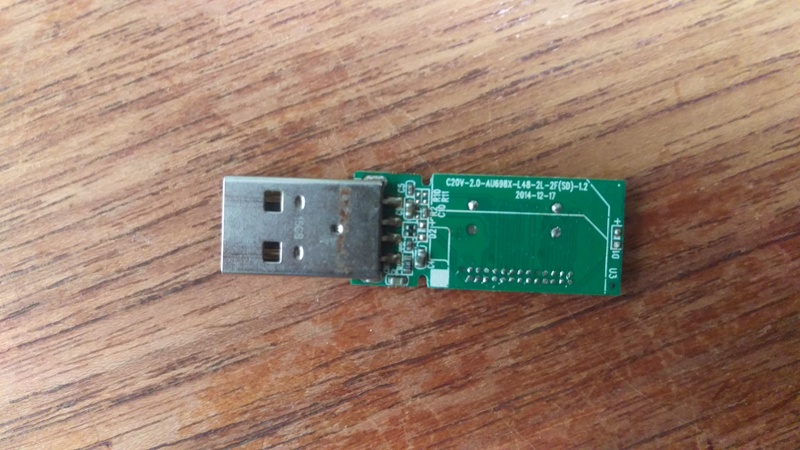 Question My USB thumbdrive is in need of repair, how do I fix it? 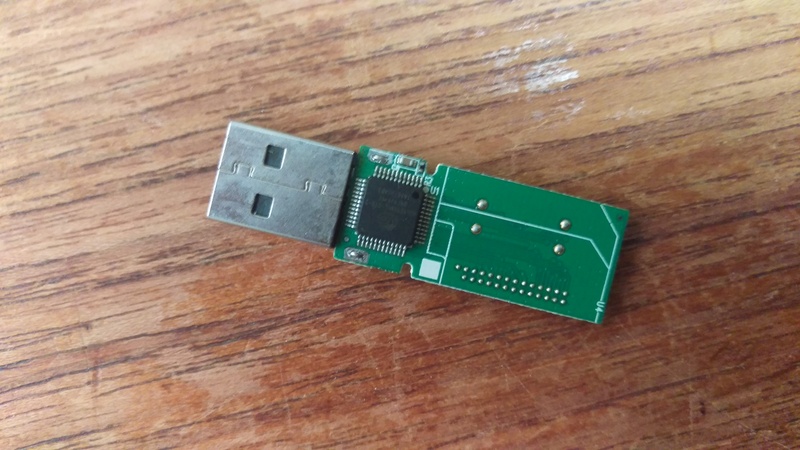 I have a USB thumbdrive that is in need of repair, and I would like to know how to fix it. One day when I plugged it into my laptop, it wouldn't want to show up on my computer. I made the mistake of sending it in the mail to an online business without the foresite to find out if they were credible. They told me it would take 800 USD to repair it, and that seems like it's too much money for a little thumbdrive. When they sent it back, they didn't bother with putting it back together, and it came in two seperate pieces out of it's shell. There is no need to scold me for not doing any research on the business in question, I learned my lesson and will never do that again. So now I'm stuck with not only a thumbdrive that doesn't just want to appear on my computer, I now have a USB I do not know how to put back together. If it helps, I do have a soldering iron I can use to put it back together if that is required. It would be absolutely wonderful if someone can inform me on what it is I need to do. Thank you kindly for any feedback. Edit: No, I did not pay them anything. I demanded it be returned, and they were unproffesional. And yes, I have some important files that I have stored on it, like the book I have written. I know I should have had saved it on more than one device. Here are some better pictures. Do you have critical data you want to get off of it? Or are you simply trying to get it working again? Without knowing what's wrong with it, it's pretty hard to begin fixing it. Was it sent back in that condition after you paid 800 USD or after you refused (hopefully) to pay that much....? You should not need to use a soldering iron to put it back together. Caveat being that the small black component shown on left side of the image was not originally soldered in. 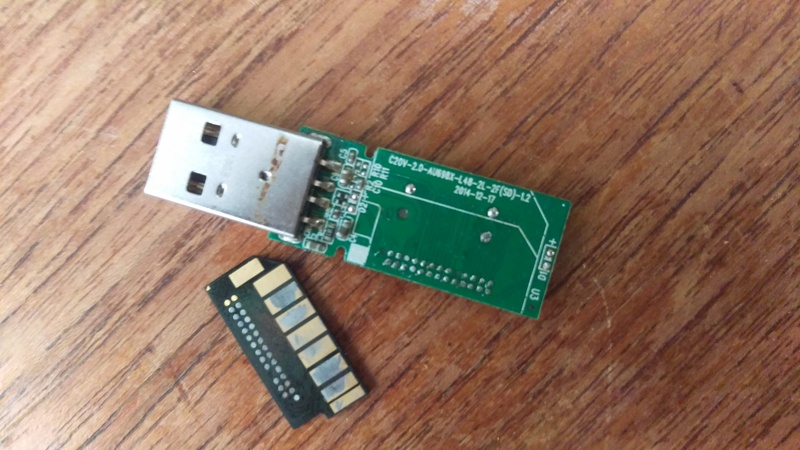 If the USB drive was not working and they tore it apart even more then it is very likely that the drive has been destroyed. Ask around to find a family member or friend who can help you try to put the USB drive together again. Soldered or otherwise. Do so with the USB plug extended - do not be concerned about the plug being retractable. Objective is to recover the data. Nothing to lose by trying. Unless there is life changing data on it that you absolutely must have, let it go. 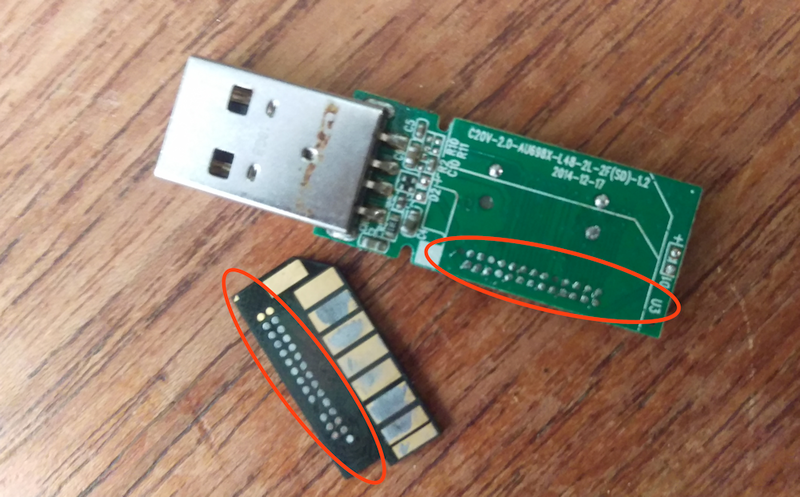 Hello,My daughter is an IT program anylist ONLY her roommate is the same-neither of my other children are circuit board savvy.Yes I need VERY IMPORTANT DATA FROM IT 6 years worth (*I started getting sick about the same time) Thank You * Ive edited my post you can see the pictures. Yes I am aware of that now.Thank you. Critical Data yes indeedy. 6 years of writing and rewriting. Thank you for the reply. On this single, now broken, USB stick. No other copy of this data exists? None? The two areas circled in red used to be connected. The black thing is what actually holds the data. The green thing is what talks to the PC. Does not look repairable to me. The memory (black thing) would need to be flipped over and resoldered to the green PCB (printed circuit board). Originally there were probably pins on the memory module that were inserted into matching holes on the circuit. Then soldered into place. In any case, recovering any data would be a matter of re-establishing connectivity between the memory module and some form of "reader". I.e., a device that will make all of the appropriate contacts between the memory module and serve as input to a PC. Each little dot on the memory module will need to connected to the appropriate circuits to power and read the modules. Likely both special hardware and software needed. Overall recovering the data via a legitimate recovery company is likely to be expensive. And there will be no guarantees about either the quantity or quality of the data recovered. Just my thoughts and I hope that there may be other ideas and suggestions. This not meant to be mean, just managing expectations. The data could already be gone. Attaching the removed module is no guarantee that you are fixing the original problem. Then with all the handling of open circuit I’d expect there is a chance that any remaining data could have been lost. If you go down the route of having a professional service look at it you don’t know how much they can recover, it could be nothing. The memory that holds your data is shown in your third photo. If you cannot access the data though the USB interface, honestly, you need to send that out to a reputable recovery service agency. Now, in relation to the charges that the "other agency" was asking.....depending on what needs to be done to recover the data, their asking price probably isn't out of the norm for the industry--particularly when you consider the nature of some of the heroics that are necessary to recover data from devices like this. Do some research, find a firm that has a good track record and reputation in the field, send it to them, and pay the fee to get your data onto other media. DO NOT EXPECT IT TO BE CHEAP either. Your only other alternative is to count the data off as gone forever. ive gone through 3 laptops possibly, maybe ? Only you know what it is and where it might be. But if you did not specifically save it on the laptop or other.....gone. Is external drive repair a ripoff? Any way to repair or remap bad HDD sectors without losing data?